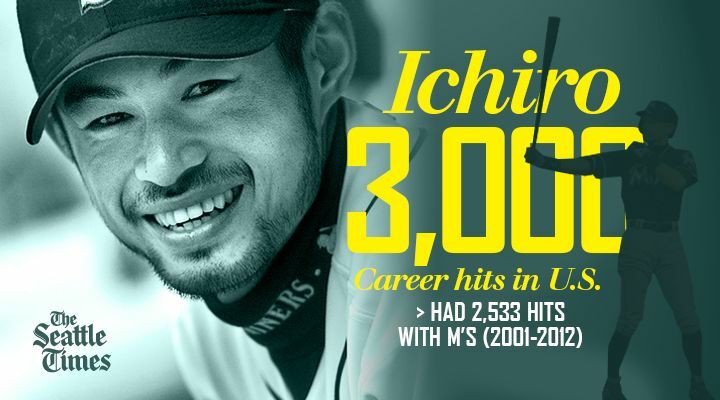 A sampling of national-media reaction after former Ichiro picked up his 3,000th career hit on Sunday. It was only a matter of time for a timeless player like Ichiro. The former Mariner star got his 3,000th hit on Sunday, a triple off the right-field wall in Colorado during the seventh inning of Miami’s 10-7 win over the Rockies. After being stuck at 2,998 hits for 11 at-bats, Ichiro picked up one hit on Saturday before becoming the 30th player to reach the career milestone. 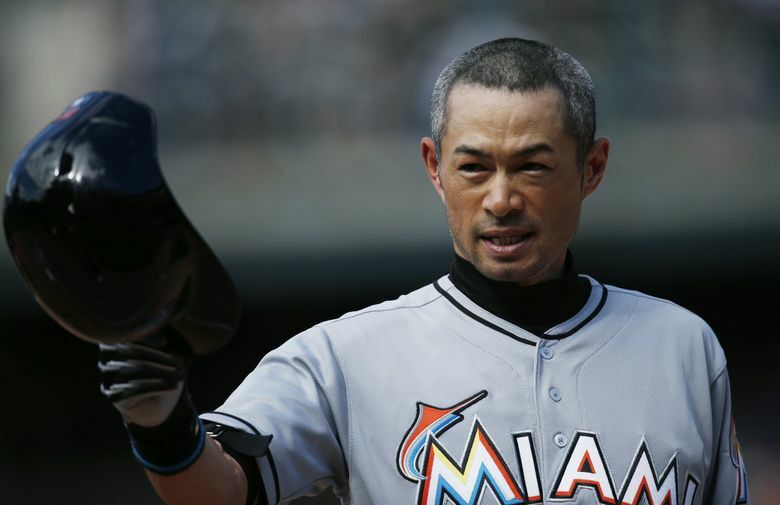 Ichiro also became the fourth player born outside the continuous United States to achieve 3,000 career hits, joining Roberto Clemente (Puerto Rico), Rafael Palmiero (Cuba) and Rod Carew (Panama).